A good designer can predict the future. using art to tap into intuitive expression offers a unique perspective on sacred moments. Available for collaborations on events, workshops and retreats. 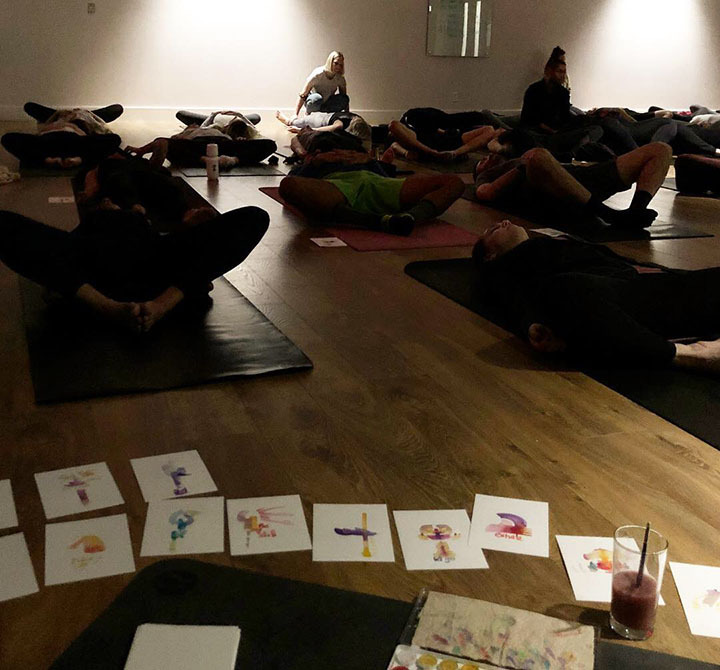 Intuitive paintings created for each person during their yoga practice. Custom Intuitive Portrait readings are an intimate exploration of within. These healing sessions provide visual insight to energy blocks and intuitive messages. It is an experience to explore energy to connect it to alignment and intuition.